Aftermarket four-wheel drive suspension is extremely complex. Determining the right solution for your vehicle and your requirements demands special attention to many factors. 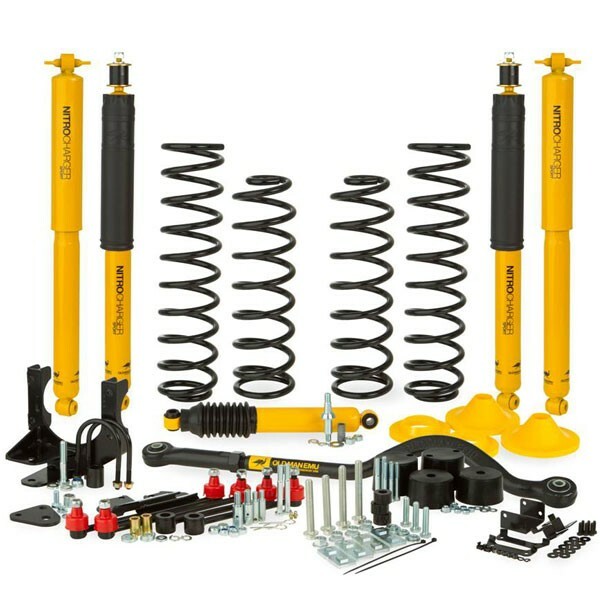 Unlike numerous aftermarket JK suspension systems on the market that only target lift height, OME offers a complete boxed kit that contains all the required components to fine tune the suspension for ride height and additional weight of accessories. All while maintaining the world famous OME ride quality. OME engineers objective was to develop a complete 4 inch lift kit for the 2007+ Jeep Wrangler JK both 2 door and 4 door variants. After researching the market on what options were available and the solutions that competitors offered, a decision was made to offer a value for money, well-engineered solution that provides excellent ride and handling characteristics. 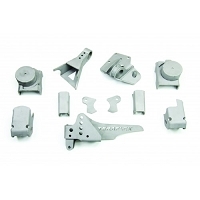 OME is offering an integrated 4 inch kit that easily bolts on and has endured countless hours of engineering resources. Lifting the JK Wrangler ride height beyond 2 inches introduces a range of new challenges which the OME engineers have addressed with a complete suspension solution.